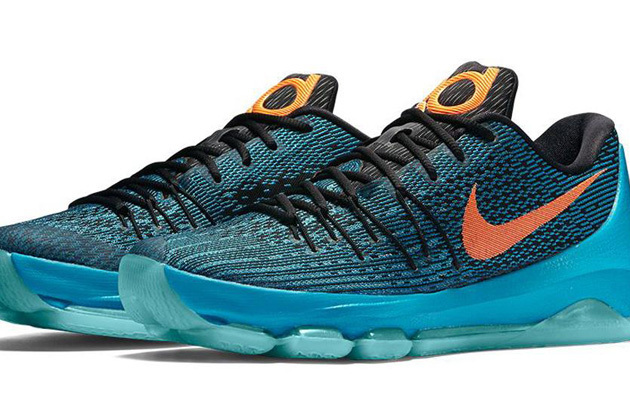 SI.com counts down the top 10 on-court basketball sneakers released in 2015. There’s style and there’s performance. We combine the two for our list of top 10 basketball sneakers, selecting the year's best on-court shoes (Sorry, Yeezy fans and Air Jordan retro lovers) that also infuse a bit of style to create a hybrid list of the best of 2015. 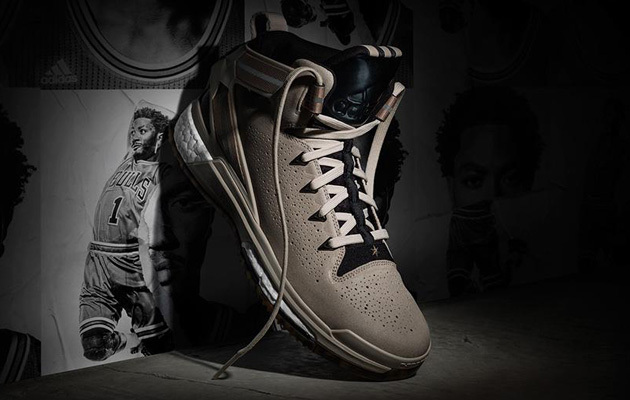 Dwayne Wade’s fourth signature sneaker from Chinese brand Li-Ning may fly relatively under the radar in the sneaker world, but the performance of the mid-top shoe doesn’t disappoint. The use of carbon fiber and a mix of other materials from designer Eric Miller keep the performance of the shoe on par with others in the sneaker world and the ever-releasing array of colorways provides plenty of visual diversity. 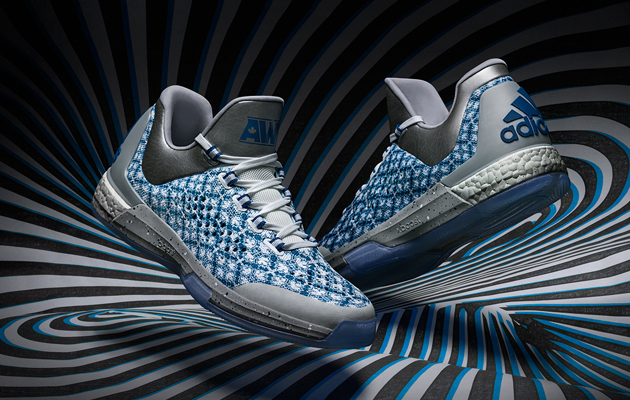 The blue-heavy "Liberty" colorway gives an example of the style available from the Way of Wade line. 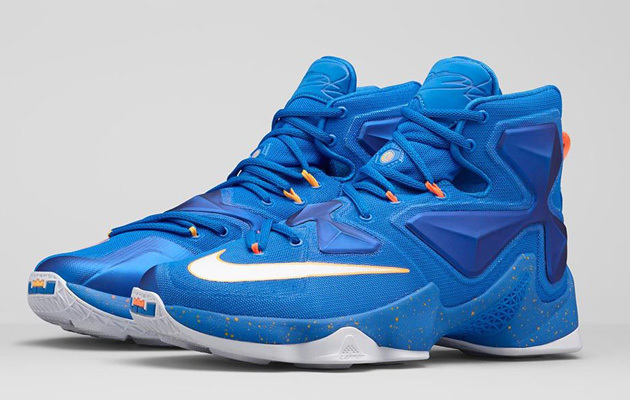 Nike launched the LeBron 13 in November. Shortly after the release of the shoe, LeBron James and Nike agreed to a lifetime contract, so expect to see the LeBron line extend well beyond the 13 iterations we’ve seen so far. In the LeBron 13, designer Jason Petrie improved lightweight support with Hyperposite material, cushioned the prime big man shoe with Zoom Air, and offered plenty of nods to LeBron’s hometown. While we love the "Written in the Stars" and "Friday the 13th" looks, the old school "Balance" colorway goes a bit more subtle. 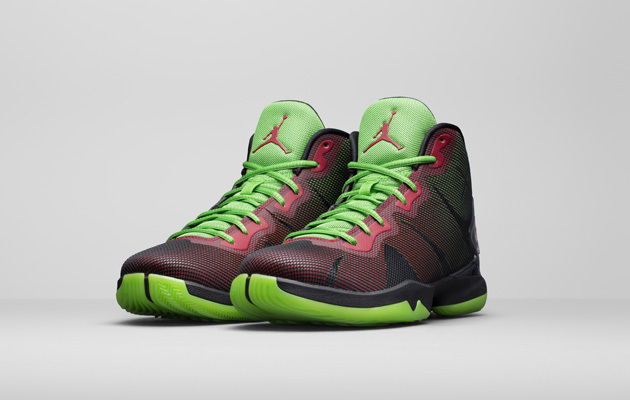 The Super.Fly 4 has become a big man shoe that even the little guys can wear. As Jordan Brand continued to strip down to the essentials for this past summer's release, the more flexible upper combined with the Flightspeed technology underfoot to create an updated silhouette and new performance attributes. With lead athlete Blake Griffin wearing the line, the best colorway we've seen was one of the early releases of "Marvin the Martian." After a January release of Under Armour’s first-ever signature, we received the Curry Two in October. But this time the shoe came with the comfortable Speedform construction—a seamless heel with no traditional sockliner pullout to create flowing construction that wasn’t before used in basketball. The mix of textiles and synthetics allows Under Armour to improve the fit and function of the sneaker and provides a smidge more leeway in aesthetics. 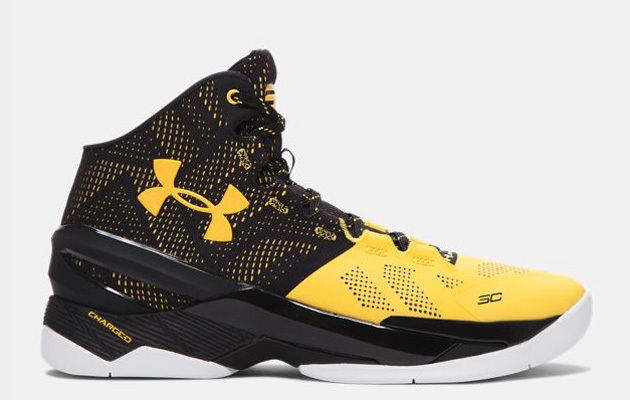 With Stephen Curry becoming the hottest name in the sport, Under Armour has spent 2015 pulling out plenty of colorways, with designer Rashad Williams giving us the likes of "Suit and Tie" and "Father to Son," but the "Longshot" colorway amps up the colorful example of the Curry Two style. The aesthetics of the D Rose line have fluctuated severely over the course of the line with the movement of three stripes the most prominent design decision. The release of Derrick Rose’s D Rose 6 in October offered up the Boost cushioning technology we’ve appreciated since the fifth iteration, but has also debuted a new silhouette. 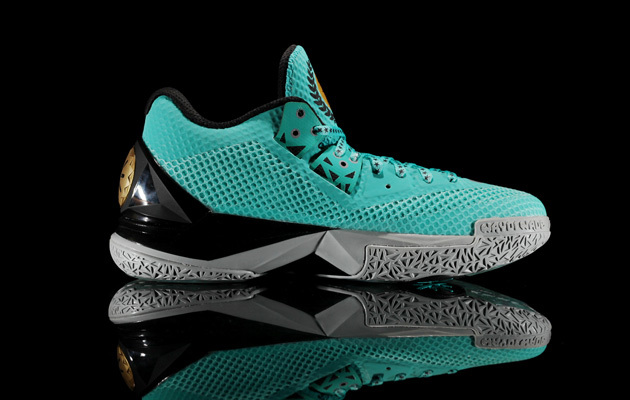 The "South Side Lux" colorway accentuates the new look of the D Rose line and does so with Chicago-inspired design. Nike went high tech with Kevin Durant’s eighth shoe, introducing Flyweave into its basketball line, an engineered textile. The new style of upper improves the brand’s ability to create lightweight stability—Flyweave is stronger than Flyknnit—and for designer Leo Chang to match his support-enabling heel counter with the graphic abilities of the Flyweave material. With plenty of designs already out since the June unveiling, we chose "Road Game" as our favorite, with blues and oranges showing off the graphic range of the Flyweave. 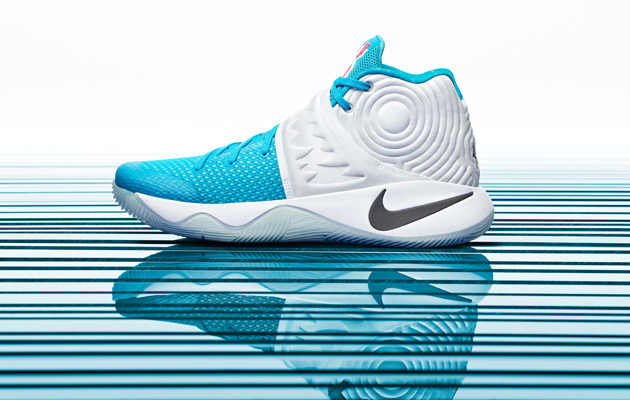 The Kyrie 2 isn’t even out yet—the first release occurs Dec. 15—but the second signature for Kyrie Irving has already shown off a new way to look at on-court abilities. Designer Leo Chang brought the outsole high on the edges for better “cornering” and introduced a completely new midfoot strap for a fresh lockdown strategy. All this new design opens up the possibility for new visual designs, none better so far (okay, so it is early) than what we’ll see with the Christmas edition. Chris Paul stays as involved in the design of his signature sneaker as any athlete out there, so it's no surprise that he had a hand in the cushioning technology, the lacing system, and breathable mesh that keeps his ninth signature shoe lightweight and supportive, exactly the way he likes them. Debuting in October, the CP3.IX also shows off Paul’s involvement with the detailing he loves—and knows the history of—making the shoe an interesting multi-layer read for fans. 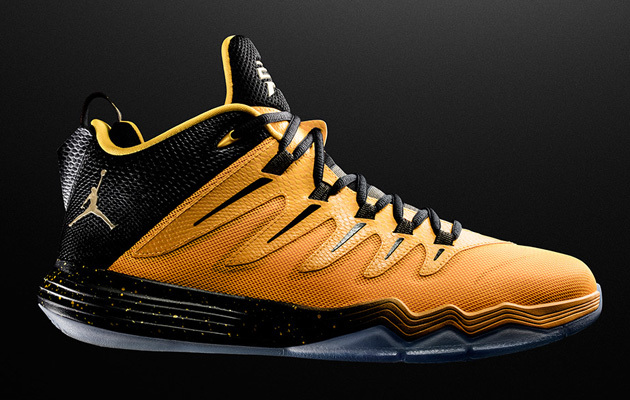 The Yellow Dragon colorway shows this all off in the brightest way possible. First came the Boost cushioning in 2014 and then, in July 2015, Adidas offered up Boost cushioning combined with Primeknit, creating one of the lightest, most comfortable basketball shoes on the market with the Crazylight Boost 2015. The only non-signature shoe on our list originated with solid-color uppers and white Boost, as per the Adidas design code, but the Andrew Wiggins player edition shoes showed off the design potential of the shoe, one now worn by James Harden. The oldest shoe on the list—the 10th in Kobe’s line debuted Feb. 1, after all—still packs quite a bit to enjoy, including carbon fiber, combination cushioning, and an engineered textile upper (the elite version uses Flyknit) that makes this a performance shoe nimble enough for guards but supportive enough for larger players. Designed by Eric Avar, the Kobe X has had almost a year to show off nearly limitless iterations from the original low to high tops and Flyknit. 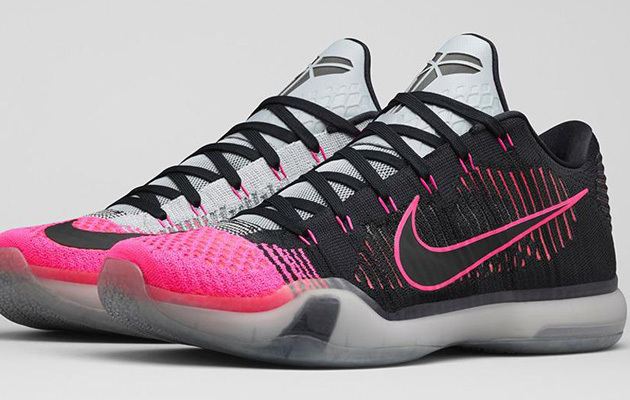 Our favorite was the elite low "Mambacurial," a mixture of the Kobe X with the Mercurial soccer cleat. 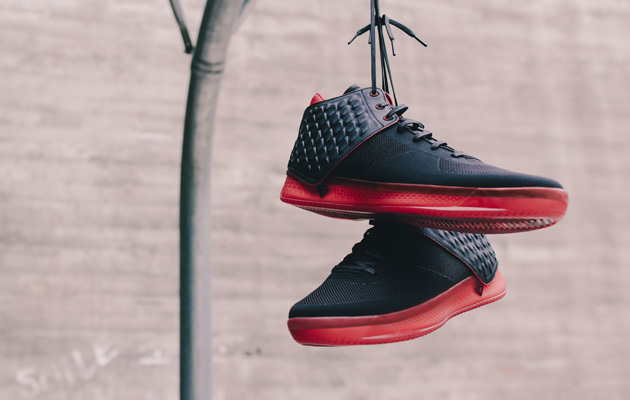 Jamal Crawford breaks the style mold with his third signature shoe from Brandblack and designer David Raysse. Crawford has seen a shift in the Brandblack evolution that includes the performance of top-flight and ever-improving foam, a tread inspired by wiper blades, and now a support shroud, which also provides one of the most fashion-forward designs you’ll see on the NBA court. Crawford's teammate Josh Smith can also be seen wearing the California-based brand.